1. Be of good moral character. 2. Be at least eighteen years of age. 3. Have a high school diploma or the equivalent of a high school diploma. 4. Complete a training program prescribed by board rules. 5. Pass a board approved pharmacy technician examination. A. Except for interns and pharmacy technician trainees, the board shall assign all persons licensed under this chapter to one of two license renewal groups. Except as provided in section 32-4301, a holder of a license certificate ending in an even number shall renew it biennially on or before November 1 of the even numbered year, two years from the last renewal date. Except as provided in section 32-4301, a holder of a license certificate ending in an odd number shall renew it biennially on or before November 1 of the odd numbered year, two years from the last renewal date. Failure to renew and pay all required fees on or before November 1 of the year in which the renewal is due suspends the license. The board shall vacate a suspension when the licensee pays all past due fees and penalties. Penalties shall not exceed three hundred fifty dollars. The board may waive collection of a fee or penalty due after suspension under conditions established by a majority of the board. B. The board shall prorate the fee for a new license for the remaining full calendar months of the respective group to which the licensee is assigned. C. A person shall not apply for license renewal more than sixty days before the expiration date of the license. D. A person who is licensed as a pharmacist or a pharmacy technician and who has not renewed the license for five consecutive years shall furnish to the board satisfactory proof of fitness to be licensed as a pharmacist or a pharmacy technician, in addition to the payment of all past due fees and penalties before being reinstated. 1. For a pharmacist, two hundred fifty dollars. 2. For a pharmacy technician, one hundred dollars. 3. For a duplicate renewal license, twenty-five dollars. F. Fees that are designated to be not more than a maximum amount shall be set by the board for the following two fiscal years beginning November 1. The board shall establish fees approximately proportionate to the maximum fee allowed to cover the board’s anticipated expenditures for the following two fiscal years. Variation in a fee is not effective except at the expiration date of a license. G. The board shall not renew a license for a pharmacist unless the pharmacist has complied with the mandatory continuing professional pharmacy education requirements of sections 32-1936 and 32-1937. H. The board shall prescribe intern licensure renewal fees that do not exceed seventy-five dollars. The license of an intern who does not receive specific board approval to renew the intern license or who receives board approval to renew but who does not renew and pay all required fees before the license expiration date is suspended after the license expiration date. The board shall vacate a suspension if the licensee pays all past due fees and penalties. Penalties shall not exceed three hundred fifty dollars. The board may waive collection of a fee or penalty due after suspension under conditions established by the board. I. The board shall not renew a license for a pharmacy technician unless that person has a current board approved license and has complied with board approved mandatory continuing professional education requirements. 6. Make the policies and procedures available within the pharmacy for employee reference and inspection by the Board or its designee. B. In all hospitals, a pharmacist shall be in the hospital during the time the pharmacy is open for pharmacy services, except for an extreme emergency as defined in R4-23-110. Pharmacy services shall be provided for a minimum of 40 hours per week, unless an exception for less than the minimum hours is made upon written request by the hospital and with express permission of the Board or its designee. C. In a hospital where the pharmacy is not open 24 hours per day for pharmacy services, a pharmacist shall be “on-call” as defined in R4-23-651 when the pharmacy is closed. D. The Director of Pharmacy may be assisted by other personnel approved by the Director of Pharmacy in order to operate the pharmacy competently, safely, and adequately to meet the needs of the hospital’s patients. 14. Ensure compliance by pharmacy personnel with a quality assurance program developed by the hospital. F. Pharmacy technicians and pharmacy technician trainees. Before working as a pharmacy technician or pharmacy technician trainee, an individual shall meet the eligibility and licensure requirements prescribed in 4 A.A.C. 23, Article 11. G. Pharmacy technician policies and procedures. Before employing a pharmacy technician or pharmacy technician trainee, a Director of Pharmacy or pharmacist-in-charge shall develop the policies and procedures required under R4-23-1104. H. Pharmacy technician training program. b. Not perform professional practices reserved for a pharmacist, graduate intern, or pharmacy intern in subsection (E), except as specified in subsections (E)(3) and (4). I. Supervision. A hospital pharmacy’s Director of Pharmacy and the pharmacist-in-charge, if a different individual, shall supervise all of the activities and operations of a hospital pharmacy. A pharmacist shall supervise all functions and activities of pharmacy technicians, pharmacy technician trainees, and other hospital pharmacy personnel to ensure that all functions and activities are performed competently, safely, and without risk of harm to patients. Former Rules 6.7310 and 6.7320; Amended effective August 10, 1978 (Supp. 78-4). Section repealed, new Section adopted effective February 7, 1990 (Supp. 90-1). Amended effective November 1, 1993 (Supp. 93-4). Amended by final rulemaking at 8 A.A.R. 4902, effective January 5, 2003 (Supp. 02-4). Amended by final rulemaking at 10 A.A.R. 1192, effective May 1, 2004 (Supp. 04-1). Amended by final rulemaking at 12 A.A.R. 3032, effective October 1, 2006 (Supp. 06-3). 3. Dates and signs a statement that the person has complied with subsection (A)(2). c. Have a high school diploma or the equivalent of a high school diploma. 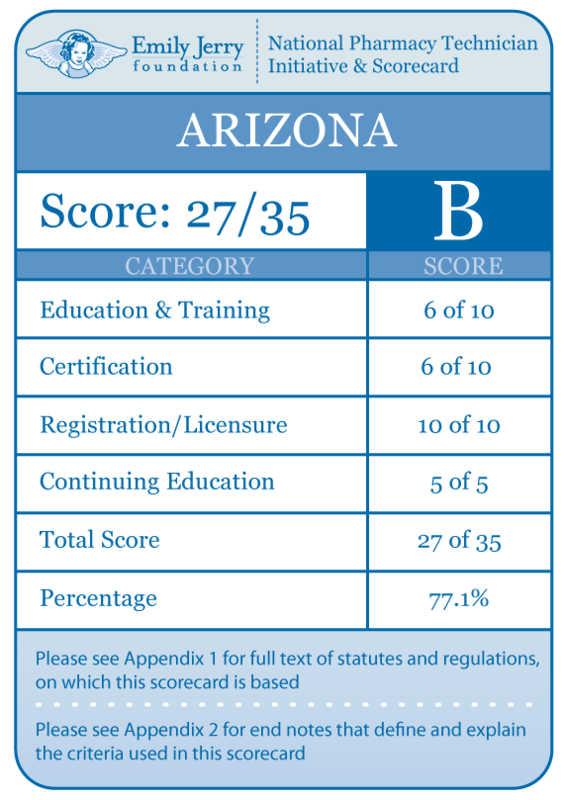 c. Pass the Pharmacy Technician Certification Board (PTCB) examination or another Board-approved pharmacy technician examination. c. Complete 480 hours of pharmacy technician training as a pharmacy technician trainee licensed under R4-23-1103. New Section made by final rulemaking at 10 A.A.R. 1192, effective May 1, 2004 (Supp. 04-1). f. The wall license and initial licensure fees specified in R4-23-205. B. Licensure. Within seven business days of receipt of a completed application, fees, and other information specified in subsection (A), the Board office shall determine whether the application is complete. If the application is complete, the Board shall assess whether the applicant is qualified under statute and rule. If the applicant is qualified, the Board office shall issue a license number and mail a license to the applicant. An applicant who is issued a license number may begin practice as a pharmacy technician. The Board office shall mail a wall license to the licensee within 14 days of issuing the license number. C. License renewal. To renew a license, a pharmacy technician shall submit a license renewal form supplied by the Board with the biennial renewal fee specified in R4-23-205. The Board office will process the application for renewal in the same manner described in subsection (B). D. If the biennial renewal fee is not paid by November 1 of the renewal year specified in A.R.S. § 32-1925, the pharmacy technician license is suspended and the licensee shall pay a penalty as provided in A.R.S. § 32-1925 and R4-23-205 to vacate the suspension. 1. Within seven business days of receipt of a completed application, fees, and other information specified in subsection (A), the Board office shall determine whether the application is complete. If the application is complete, the Board shall assess whether the applicant is qualified under statute and rule. If the applicant is qualified, the Board office shall issue a license number and mail a license to the applicant. An applicant who is issued a license number may begin practice as a pharmacy technician trainee. The Board office shall mail a wall license to the licensee within 14 days of issuing the license number. A pharmacy technician trainee license is valid for 24 months from the date issued. shall not practice as a pharmacy technician or pharmacy technician trainee. 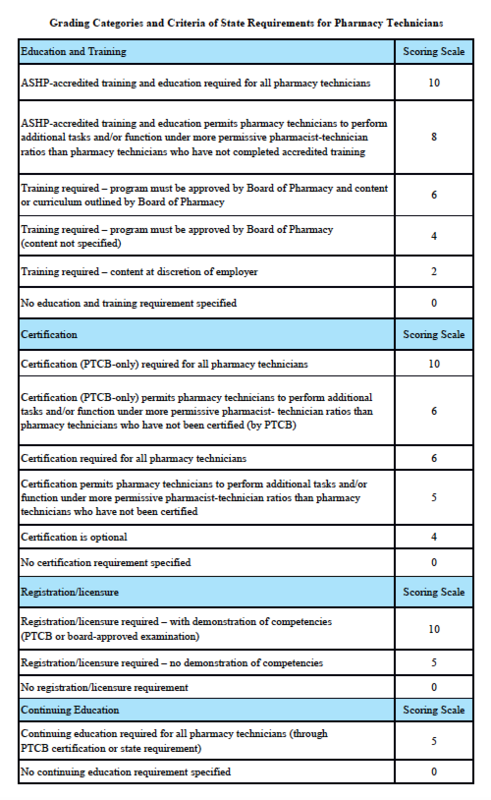 C. The Board may allow a pharmacy technician trainee whose license expires before the pharmacy technician trainee completes the prescribed training program and passes the Pharmacy Technician Certification Board (PTCB) examination or another Board-approved pharmacy technician examination to reapply for licensure not more than one time. A pharmacy technician trainee whose license has expired may make a special request to the Board under R4-23-401 for approval to reapply for licensure. A. Nothing in this Section prevents additional offsite training of a pharmacy technician. B. Pharmacy technician training program. d. Provide to the pharmacy technician trainee a copy of the statement required in subsection (B)(3)(b). C. Drug compounding training program. c. Maintain the documentation required in this subsection for inspection by the Board or its designee. D. A pharmacy technician shall perform only those tasks, listed in R4-23-1104(B), for which training and competency has been demonstrated. New Section made by final rulemaking at 10 A.A.R. 1192, effective May 1, 2004 (Supp. 04-1). Amended by final rulemaking at 12 A.A.R. 3032, effective October 1, 2006 (Supp. 06-3). 2. At least two of the contact hours or 0.2 of the CEUs are approved courses in pharmacy law. For a pharmacy technician licensed less than 24 months the continuing education contact hours are calculated by multiplying 0.83 hours times the number of months between the date of initial licensure and the licensee’s next license renewal date. 5. Not accept as a CEU a pharmacy technician’s normal teaching duties within a learning institution if the pharmacy technician’s primary responsibility is the education of health professionals. 3. When requested by the Board office, submit proof of continuing education participation within 20 days of the request. D. The Board shall deem a pharmacy technician’s failure to comply with the continuing education participation, recording, or reporting requirements of this Section as unprofessional conduct and grounds for disciplinary action by the Board under A.R.S. § 32-1927.01. E. A pharmacy technician who is aggrieved by any decision of the Board concerning continuing education units may request a hearing before the Board.